Since the original suit, though, things have been fairly quiet. Yesterday, in an unexpected turn of events, Lodsys published an eighteen-word blog post simply titled "Rovio," which said the following. 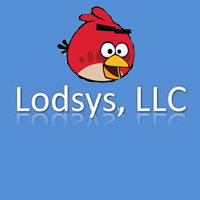 Rovio has taken a license to the Lodsys Group portfolio for all of its products, on all platforms. Yes, Lodsys is essentially saying Rovio has capitulated by taking licenses for all its products, across all platforms. Whether Rovio is among the "more than 4 out of 5" entities who, according to Lodsys, have decided to enter licensing not as a direct result of legal action is unclear. At the time of the original suit, Lodsys had sued plenty of other names including Electronic Arts, Atari, Square Enix, and more, going after nearly 40 entities in total, and antagonizing other developers – independent and otherwise – since before the Rovio suit. We were hopeful when, in August 2011, Google filed for reexamination of the patents Lodsys claimed against many developers (specifically involved with in-app purchasing), but as Lodsys itself reported in 2012, the USPTO ended up confirming Lodsys' claim on the patent ('078). So far, Rovio appears to be the only major developer we've seen going ahead and licensing with Lodsys, and that's what makes Lodsys' statement interesting. Does this give the patent troll everyone loves to hate any more credibility? Not really, but they are persistent, and while the US President's recent proposals on the issue of patent trolling at least sound good, change cannot come soon enough.